The Hobo Spey is a killer fly for May steelies. It's perfect for clear water conditions and high skies. 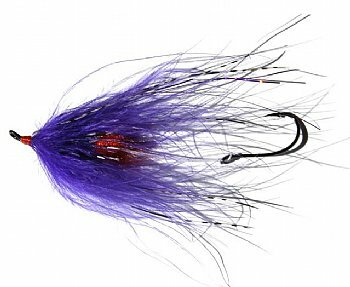 You'll want to fish the Hobo Spey on a sink-tip. The fly is unweighted but is tied on a shank which helps get the fly down. If you need a faster sink rate, try pinching on a split shot in front of the fly. Some anglers prefer to run a "worm weight" on their leader instead of using shot. Either way, the Hobo Spey should definitely be in your arsenal of weapons this spring.